) — 04/06/2016 –Popular teen recording artist Sebastian Janoski is set to release his new single “Pure Gold” through all digital mediums on Friday April 8th and will be a guest and co-host on the popular iHeart radio show #Tylerstrending on NOW 105.3 FM on Monday April 11th 7pm-Midnight to kick off his promotion and concert tour. The song was co-written and produced by Billboard top 40 producer PJ Bianco, who rose to prominence by taking a leading role in developing/producing and writing for such artists as The Jonas Brothers and Demi Lovato. Performing since the age of 7, Sebastian Janoski is a 16-year-old singer/songwriter based out of Lititz, Pennsylvania. He is nationally known for his many musical releases, appearances on various television shows, Broadway Theater, movie roles and soundtrack work. Sebastian rose to National prominence as a contestant on NBC’s Americas Got Talent at age 12 and has been regarded as “One To Watch” by American Idol Champion Jordin Sparks, legendary music producer Clive Davis and talk show host Katie Couric. He saw his star rise even further in 2014 with the National release of his single and video “When You Were My Girl” through Sony Music/The Orchard which gained nationwide FM as well as internet radio play, charted through BDS and was a finalist in the 2014 GRAMMY Amp initiative. Sebastian has spent a majority of 2015 touring & writing/recording new music due to be released throughout the 2016 year. He has also spent time working on movie soundtracks such as “Natural Selection” starring Mason Dye, Anthony Michael Hall & Katherine McNamara. More information, tour schedule and all links on Sebastian can be found at http://www.SebastianJanoski.com. 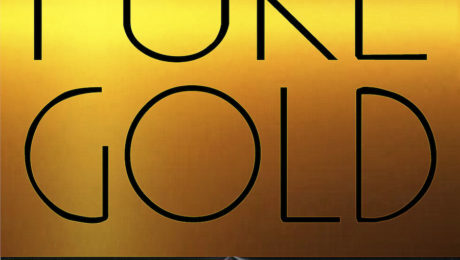 The song “Pure Gold” was co-written by Sebastian Janoski and PJ Bianco. The song has a definitive and purposeful feel of modern style hit music and energetic anthems in the likes of Sam Smith, Adele & Ed Sheeran. Sebastian Janoski brings his unique Blues/Pop-fusion sound to the powerful song and It’s placement in todays pop culture is sure to show Sebastian’s skill as not just a vocalist but as a powerhouse songwriter. The song will have its national release through all digital mediums Friday April 8th and is to be followed up with a music video soon after. PJ Bianco is an American songwriter and record producer from New Jersey currently residing in LA. Bianco has written and produced chart-topping international hits with artists such as Demi Lovato, Metro Station, Sean Paul, Fifth Harmony and the Jonas Brothers. He is best known for his versatility as a songwriter and producer and being able to work with artists of all genres. He also has a track on the upcoming Nick Jonas album “Last Year Was Complicated”. The NOW 105.3 iHeart Radio Show is hosted by pop recording artist and social media star, Tyler Layne in the largest radio and television outlet in America, Tyler is one of the youngest on-air personalities to join iHeartMedia at NOW 105.3 FM in Norfolk, Va. The former Radio Disney star serves as the late night host of the station’s 7:00 p.m. to midnight weekday segment called “Tyler’s Trending”. He interviews top emerging music artists and introduces social media topics and authors on a weekly blog on the station’s website (http://now105.iheart.com/onair/tyler-layne-55738). worldwide with the Sony offshoot label, it can be downloaded on iTunes and is accompanied by a special bonus acoustic version. The future smash single was recorded with Grammy nominated engineer Benny Steele of Atlantic Records, as well as with the production/writing team of Billboard #1 Writer/Producer along with Writer/Producer and 2014 EMMA winner MGI (AKA Henri Lanz) who have been responsible for 16 major label placements in 2013 alone. Credits include Justin Bieber, Kylie Minogue, 50 Cent, Sean Kingston, Akon, Inna, Radical Something, Super Junior and EXO. Sebastian will be releasing a video to support the song on May 27th, it will be found on VEVO, YouTube, ITunes as well as many other outlets. A modern day pop song infused with Sebastian’s love of R&B Soul and the Blues…What he likes to refer to as “Blues-Pop Fusion”. It is expected have major crossover appeal to both the young and old audience of music lovers and gives special highlight to Sebastian’s amazing vocal abilities, this among other obvious reasons was a deciding factor the executives over at BMAB Records based their decision of bringing Sebastian on board. 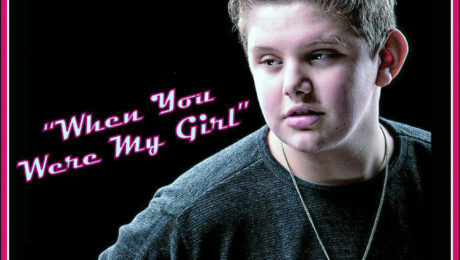 On Monday Aug 8th at 12:30pm 15 year old rising star Sebastian Janoski from Lititz, PA will appear LIVE on ABC 27 TV’s “Good Day PA” (http://www.abc27.com/category/269578/good-day-pa) for an on-air interview and to perform his 2 newly released singles “When You Were My Girl” & “Not Afraid”. Sebastian released his first singles “When You Were My Girl” & “Not Afraid” worldwide with the Sony offshoot label, BMAB Records, they can be downloaded on iTunes or wherever music is available. **About “When You were My Girl” : A modern day pop song infused with Sebastian’s love of R&B Soul and the Blues…What he likes to refer to as “Blues-Pop Fusion. The single was recorded with Grammy nominated engineer Benny Steele of Atlantic Records, as well as with the production/writing team of Billboard #1 Writer/Producer Rich Fayden along with Writer/Producer and 2014 EMMA winner MGI (AKA Henri Lanz. Credits include Justin Bieber, Kylie Minogue, 50 Cent, Sean Kingston, Akon, Inna, Radical Something, Super Junior and EXO. Sebastian will be released a video to support the song on May 27th, it can be found on VEVO, YouTube, ITunes as well as many other outlets. **About “Not Afraid” : An acoustic pop/blues original by the writing team of Sebastian & Tanya Janoski…What he likes to refer to as “Blues-Pop Fusion”. It was written for and featured in the JFA/NBC Universal film “Rock Story” starring Eric Roberts as well as many other Oscar winners/nominees. It was recorded locally in Lititz, PA’s “Pin Factory Studios” by Engineer/Producer Matt Goss. Popular Teen Recording Artist Sebastian Janoski has been signed on to sing the title song “I See You” on the soundtrack for the Motion Picture “Natural Selection”, due for nationwide theatrical release in early/mid 2015 . The national singer/songwriter/musician/actor was sought after for his unique sound and appeal to both young and older audiences alike. The feature film “Natural Selection” was written and directed by filmmaker Chad L. Scheifele of “2 Die 4 Films” and stars Mason Dye ( lifetime TV’s “Flowers in The Attic”, MTV’s “Teen Wolf”), Anthony Michael Hall (“The Breakfast Club”, “The Dark Knight”, “The Dead Zone“), Amy Carlson (CBS’s “Blue Bloods“, NBC’s “Law & Order“, “Green Lantern”) & Katherine McNamara (Disney’s “Kickin’ It” & “Jessie“, MTV’s “Happyland“) among other Hollywood power-players. **The feature film revolves around the struggle a young man “Tyler” goes through when faced with critical decisions and erupting emotions that could urge him to commit acts that may leave deep, permanent scars among his community and classmates. The film has also been adapted into a full length novel available on Amazon.com .